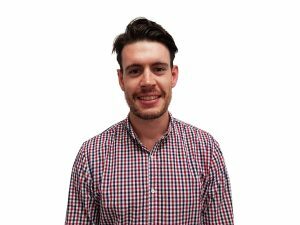 After graduating from Charles Sturt University in Albury/Thurgoona, Scott has worked at the Melbourne Foot Ankle and Walking Clinic focusing on Paediatric Podiatry, Heel Pain, Orthotic Therapy, Gait Assessment and Sports related injuries. Scott believes in the holistic approach to management and works closely with other Allied Health professionals to maximise his patient outcomes. He has a passion for sport and is a sponsor of the local football club in Blackburn. He has worked closely with Orthotech Laboratory (one of Australia’s biggest Custom, Semi Custom and Pre-Made Orthotic laboratories). This has enabled him to develop his knowledge in Orthotic Prescription, which has lead to him running workshops on Orthotic Prescription to other Allied Health Professionals. He also has a role at Orthotech offering advice to Podiatrists around Australia on Orthotic Prescription. Scott sees a mixture of Paediatrics and Adults in clinic and has consulted with a number of high level athletes, including players from AFL teams, National Basketball and Soccer teams, marathon and ultra-marathon runners etc. Since Graduating Scott has completed courses in Extra-Corparal Shock-Wave Therapy, Mobilisation and Manipulation of the Foot and Ankle and regularly attends State and National Conferences.